Where? Nick is editor of BBC Radio 4 programmes the World at One, the World This Weekend and What The Papers Say. He is also known on Twitter for tweeting out newspaper front and back pages under the #tomorrowspaperstoday hashtag. He spoke to Journalism.co.uk more about breaking into the radio industry in this video interview. Just as we like to supply you with fresh and innovative tips, we are recommending journalists to follow online too. Recommended journalists can be from any sector of the industry: please send suggestions (you can nominate yourself) to Rachel at journalism.co.uk; or to@journalismnews. This entry was posted in Recommended journalists and tagged #followjourn, BBC, nick sutton, Radio 4 on March 2, 2012 by Rachel Bartlett. BBC Breakfast presenter Sian Williams is moving to Radio 4, after reportedly not wanting to move to the broadcaster’s new base at MediaCity in Salford, Greater Manchester. The BBC said in a release today that Williams will join Radio 4’s Saturday Live magazine show from 5 May. 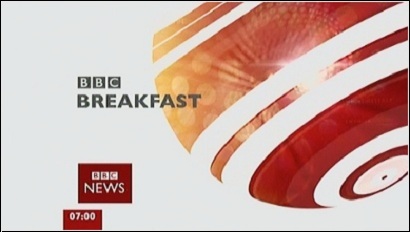 Her last morning presenting BBC Breakfast will be on March 15. This entry was posted in Broadcasting, Journalism and tagged BBC, Radio 4, Salford, Sian Williams on March 1, 2012 by Paul McNally. Crime writer PD James has won the BBC’s Nick Clarke award, the BBC College of Journalism reports. She was given the award following her interview as a Radio 4 Today programme guest editor with the broadcaster’s director general Mark Thompson in December 2009. The award is given in memory of Nick Clarke, former presenter of The World at One, who died in 2006. In the interview, James told Thompson that the BBC seemed to have become a: “large and unwieldy ship…taking on more and more and more cargo, building more decks to accomodate it, recruiting more officers all very comfortably cabined usually at salaries far greater than their predecessors enjoyed, with a crew that was somewhat discontented and some a little mutinous, the ship rather sinking close to the Plimsoll line and the customers feeling they have paid too much for their journey and not quite sure where they are going or indeed who is the captain”. This entry was posted in Awards, Broadcasting, Editors' pick and tagged BBC Nick Clarke award, PD James, Radio 4, today on October 11, 2010 by Rachel Bartlett. Chris Wheal, a journalist who recently blogged about his family’s experience of the press following the death of his nephew, spoke more about the issue on the Today programme this morning. Wheal spoke about his personal understanding of the journalists’ need to get their own story, but felt that rules need to be stronger to stop families feeling harassed. As a journalist I understand the need to get a story and I understand from lots of comments on my blog that journalists have sometimes turned up and been welcomed by families in these circumstances who get a chance to grieve and are pleased that the papers are interested. But that’s not the case with my sister. They’re a very private family, they want to grieve in private. It feels like harassment although it’s not because it’s not the same journalist coming back again and again. Presenter Evan Davies added that no family will ever be prepared for how to deal with the media in such a situation as nobody can forsee such a thing, but that they will face a “highly competitive industry”. Wheal responded that industry codes of conduct need to be strengthened. The PCC code of conduct doesn’t really tackle it, “in cases involving personal grief or shock, enquiries and approaches must be made with sympathy and discretion and publication handled sensitively”. I think for someone like my sister who is not a publicity grabbing person and would shy away from the press in normal circumstances, there has to be actually a stronger pressure on the press to not do that. The NUJ code of conduct is much stronger, stating journalists should “do nothing to intrude into anybody’s private life, grief or distress unless justified by overriding consideration of the public interest”. But even thought this story its interesting to the public, I understand that, it is not in the public interest. I think journalists sometimes harden themselves in order to go make those calls and knock on those doors, but sometimes by hardening ourselves we actually forget the impact of our actions on the poor people we are trying to interview. This entry was posted in Editors' pick, Press freedom and ethics and tagged Chris Wheal, Death knock, Evan Davis, NUJ code of conduct, PCC code of conduct, Radio 4, reporting on deaths, today programme on July 23, 2010 by Rachel Bartlett. Two weeks ago, John Mair raised the issue of mob action on this very blog in the wake of the Jan Moir episode, provoking criticism and further comment. Yesterday, he responded to some of the response, and picked up on subsequent national media analysis on Twitter’s impact on democracy. Tonight the so-called ‘Twitter mob’ is getting yet more discussion space on the excellent BBC Radio 4 programme, Moral Maze, presented by Michael Buerk, and featuring, among others, Kenan Malik. This entry was posted in Broadcasting, Press freedom and ethics and tagged moral maze, Radio 4, twitter mobs on November 4, 2009 by Judith Townend. Ben Bradshaw: why the obsession with the Today programme? This entry was posted in Broadcasting, Editors' pick and tagged BBC, bbc today programme, Ben Bradshaw, jane merrick, Radio 4, secretary of state on June 29, 2009 by Judith Townend. If you’ve got a spare half an hour this morning and you can get BBC Radio 4, Journalism.co.uk thinks Alistair Beaton’s new satirical comedy ‘Electric Ink’ will be well worth a listen. Meanwhile Sam Shepherd asks over on Subbed Out whether the BBC will be able to avoide the cliches about the web and reporting. This entry was posted in Broadcasting, Editors' pick, Journalism, Newspapers and tagged BBC Radio, BBC Radio 4, electric ink, Journalism.co.uk, Radio 4, Robert Lindsay, Sam Shepherd on June 5, 2009 by Laura Oliver.